Propel your next project with uBEAT, a dynamic new drum loop library for Native Instruments’ Kontakt developed by Umlaut Audio designed to let you jam out with ease. 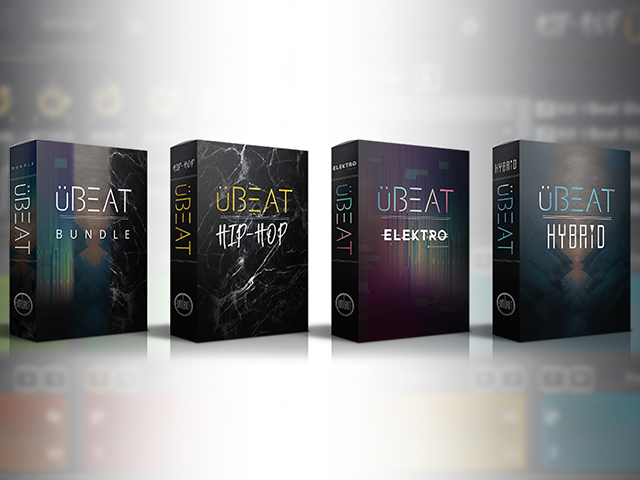 uBEAT is a new drum loop library for Native Instruments’ Kontakt sampler developed by Umlaut Audio, an award-winning virtual instrument company based in Los Angeles, CA. This dynamic beat-creation tool combines a traditional MIDI file library with an eight-pad drum machine-style instrument that offers an intuitive workflow and three distinctive styles to choose from – modern hip-hop, pulsating electro, and a genre-bending hybrid. Get your creativity flowing, and instantly layout beats with ease. 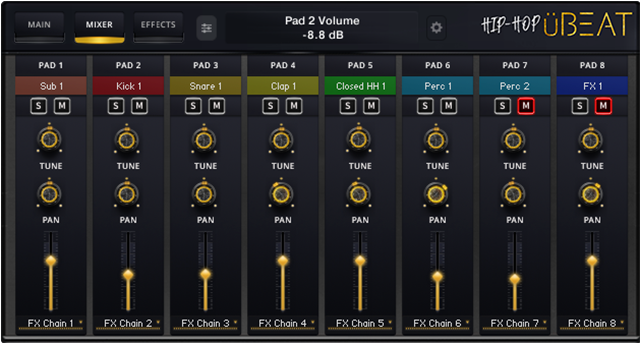 uBEAT is ideal for quickly adding beats to any production with its user-friendly interface and expressive controls that let you easily load and manipulate a variety of drum kits. Keep the beat going by creating endless variations of new loops that can be constructed by swapping out kits and their individual sounds. uBEAT also excels at providing source material to inspire new beat patterns that can be used with your own samples. To make beats all your own, simply drag and drop any of the MIDI files included in each kit into your DAW to spark new drum sequence ideas that can be extensively modified. 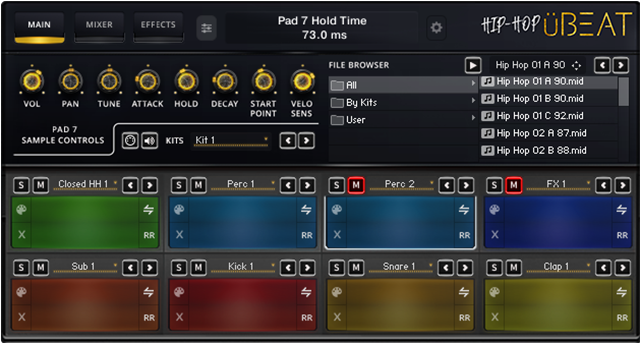 uBEAT is a sonically appealing instrument that features color-coded drum pads for easy visual grouping of sounds and a host of controls to shape your sounds. 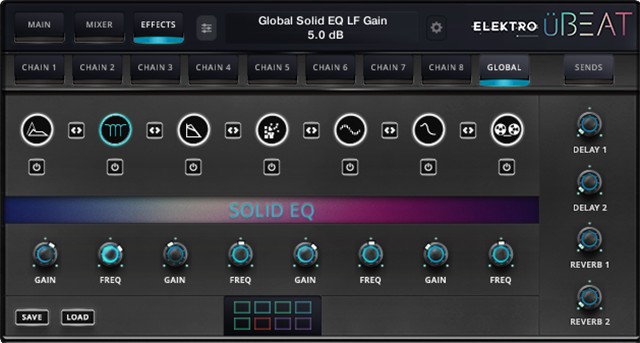 Get inspired by selecting from a variety of production-ready factory presets that can be further sculpted with a unique FX Chain setup that provides eight separate FX Chains, Global FX, and Send FX. uBEAT also has a built-in “Help View” for quick reference without deviating from your work. In addition, the software is NKS-ready and seamlessly integrates with your DAW through Native Instruments’ Kontakt or free Kontakt Player. uBEAT Hip-Hop, uBEAT Hybrid, and uBEAT Elektro are sold separately for $99 each, or together as the uBEAT Bundle for $199, at shop.umlautaudio.com. Umlaut Audio creates innovative music software for composers, producers, DJs and sound designers. The company’s mission is to provide high-quality sounds in intuitive, highly polished virtual instruments that inspire artists, ease workflow and enhance musical creativity. Their products are inspired by years of experience developing custom virtual instrument solutions and samples for many of the world’s most famous composers, such as Harry Gregson-Williams, Danny Elfman, and John Debney.